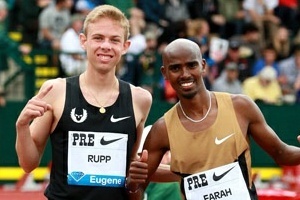 "That's a huge pb for me, six seconds. I'm really happy with that....With the way the race played out, my position and everything, 7:35 is a very good result..."
"I'm really want Jerry to let me in, get me in a 5k somewhere. I'm just super pumped to run a 5k. Maybe this performance will help him change his mind, maybe not..."
"Too bad Jerry doesn't read the message boards and people can't help me convince him to do that. But I'd love to run a 5,"
- Evan Jager talking about his hopes that coach Jerry Schumacher will let him run a 5000 after becoming the 9th fastest 3000 runner in US history. LRC Stockholm Diamond League Full Recap Updated A slew of Olympic champions competed and some did really well and some did awful. Duane Solomon ran a great 800m, Evan Jager ran a pr and revealed he wants to run a 5k, and Shannon Rowbury and Jenny Simpson ran season's best. Now with quotes and interviews. Next Sundays Aviva Birmingham Grand Prix Will Be A 12,800 Sellout We think we are supposed to be excited that a post-Olympic meet with Mo Farah can draw a minor league baseball crowd. LRC Sanya Richards-Ross, Jenn Suhr, Valerie Adams, Anna Chicherova, Tomasz Majewski At 2012 DN Galan Press Conference The Olympic champions addressed the media and talked about their golds and what is next. *Fall Keeps Uceny Out Of 1,500 The fall caused her hips, spine and shoulders to get out of alignment and emotionally she's still struggling. 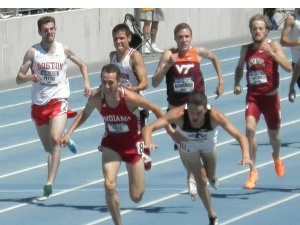 *Could Christian Taylor Get Jonathan Edwards' TJ WR? Taylor's best is 17.96 and the WR is 18.29m. 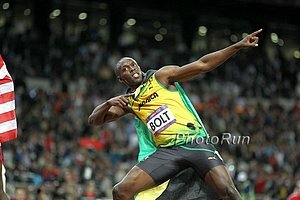 Doug Logan: "Project 30 Was A Huge Success" Logan made reference to the bitterness between Lolo Jones and Dawn Harper/Kellie Wells when he said, "Other than the unsavory drama surrounding our female 100m hurdle finalists, team members appeared to comport themselves with dignity and good sportsmanship on and off the track." 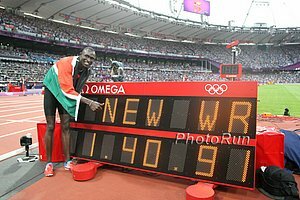 LRC Summary of Significant Track & Field Stats from 2012 London Olympics From the six Olympic record to the 4 world records to the 4 fastest times to not make the final. We've got you've covered thanks to ace Ken Nakamura. Nasdaq Chief Exec Robert Greifeld Chairs The USATF Foundation And Wants To Make Track More Popular Greifeld: "Sitting there as a lifelong track fan and to be in a stadium where there are 80,000 screaming people for the sport that you love, you say, 'well why can't this happen more often?'" Nike Exec Says T&F Needs To Take Advantage Of Olympic Momentum To Gain More Fans He said track should try to emulate what the IPL did with cricket in India. Amy Hastings Has Left Mammoth Track Club And May Join Hansons-Brooks Distance Project *MB: Mammoth- another one bites the dust? Julie Culley: "You almost get tainted being around so many Olympians ... it's almost like, 'oh, is it really that cool to be an Olympian?'" British Colunist On The Night Mo Farah, Jessica Ennis, And Greg Rutherford All Won Gold For The UK "This was the greatest night in the history of British athletics. 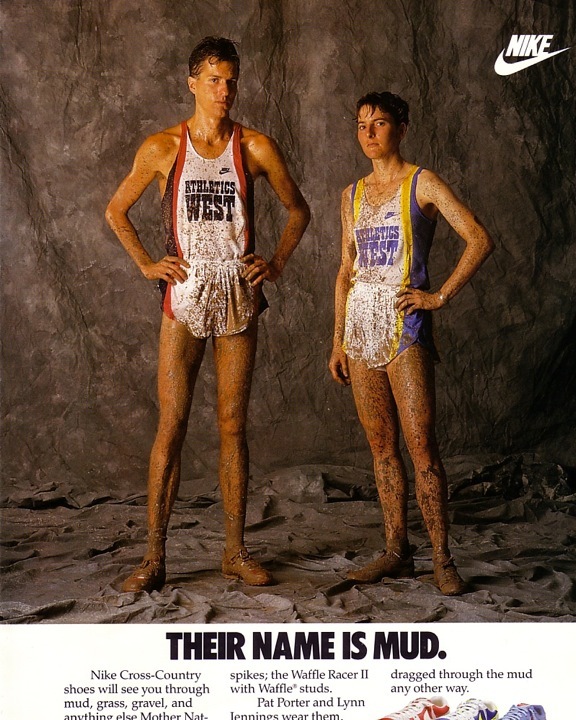 It was probably the greatest day in British sport." NZ's Valerie Adams Might Have To Wait A Long Time Before She Actually Gets Her Hands On Her SP Gold Medal After Beijing, Nick Willis had to wait 18 months before his bronze medal was finally upgraded to silver. 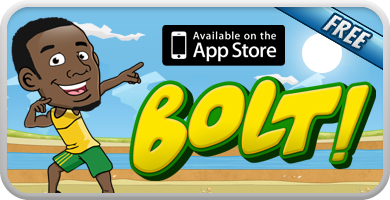 Yohan Blake: "My time will come to take over from Usian Bolt." Jamaica's 110 Hurdles Bronze Medallist Is Going Pro And Signing Contract With Puma But he'll continue to go to school at the University of West Indies and be coached by the head coach there. 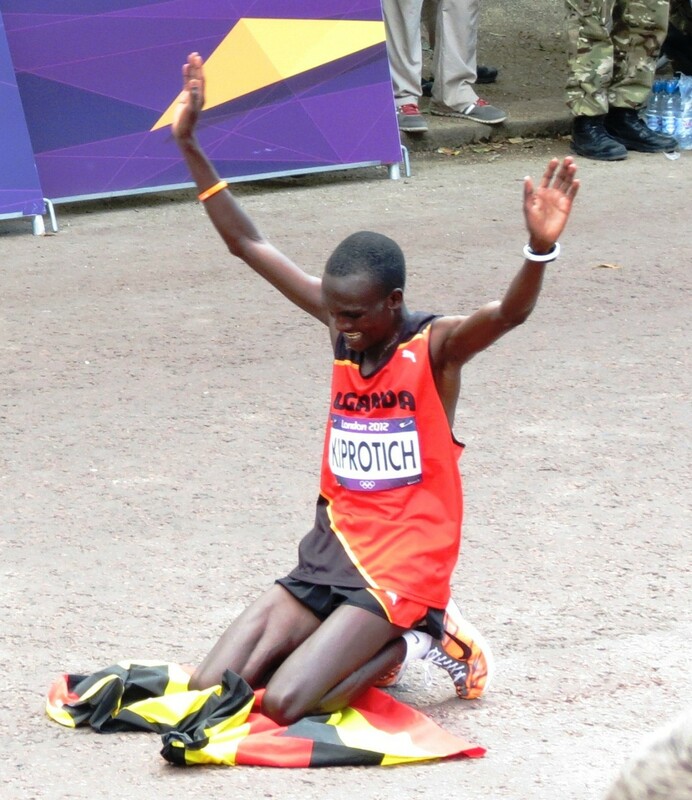 Stephen Kiprotich Returns Home And Gets $80,000 Check, Hero's Welcome And the govt. will build his parents a new house. 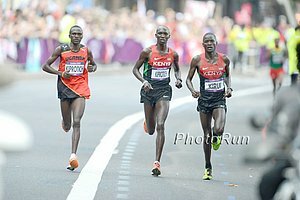 Good Read: Everyone In Uganda Was Resigned To To Another Olympic Failure, But Kiprotich Was Determined To Save Them The week before the marathon, he posted on facebook: "Am coming with the weapons to save our country." Stephen Kiprotich's Agents Aren't Worried He'll Succumb To Booze & Multiple Wives “The good thing with Kiprotich is he is one of the well behaved boys we manage." *Column: Kiprotich should be a hero to all Africans "Unfortunately, most Africans are mere participants in the human race ready to take anything, but a medal! Waiting for help and sympathy in case we fail." Others not so well: Some in Ireland Are Upset That Their 4th Placer In 50km Walk Wasn't Given A Ride Home From The Airport We're more intrigued by the fact that he's married to a woman on the 4 x 100 team. Sir Steve Redgrave's Column To All Gold Medallists - You've Won Gold, Now What? Hard to believe that Redgrave won Britain's only Olympic gold back in 1996. *MB: Discuss here. With Home Games Over, Christine Ohuruogu Trying To Enjoy Life & Sport A Bit "For me, everything stopped until Sunday, 5 August. Nothing was worth planning until after that date. Now I'm free. This is the first time I can actually say that I can really sit back and enjoy what I've done. 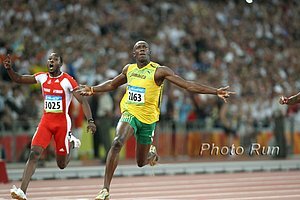 I've been chasing medals and finals since 2004. I do feel I can let my hair down a bit." 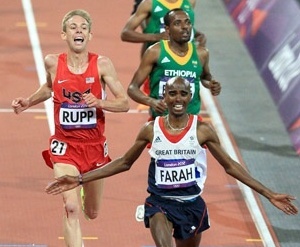 BBC Viewpoint: Can the Mo Farah effect help Somalis and Somalia? Dathan Ritzenhein Visits Chicago As Member Of 2012 Chicago Marathon Field To Speak With Local High Schoolers He also threw out the first pitch for the Astros/Cubs game. Suffice to say that it did not help the Cubs. Kenya Minister For Sport Is Critical Of Kenya's Performances In London Speaking on the marathon, he said, "You could see they were talking during the race. 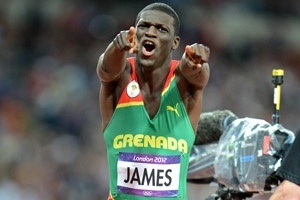 They were behaving as if you are helping their Ugandan rival in an Olympic race." Bring Back The Mile Interview With AJ Acosta Who's Running The Live Well Liberty Mile In Pittsburgh Asked if he saw Leo Manzano's silver medal race, AJ responded, "I did get a chance to see that. 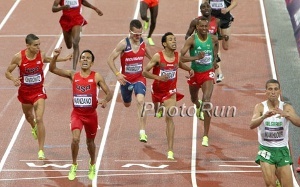 I’m looking forward to seeing him get a future gold medal and Matthew [Centrowitz] getting a future bronze medal. It’s definitely an exciting time." 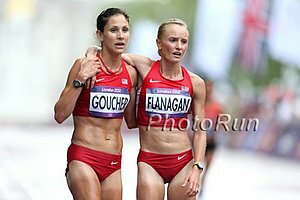 And The Opposite Of That: French Distance Runner Gives Worst Doping Excuse Ever After Testing Positive For EPO After A Half Marathon She claimed heavy rainfall had caused water to stream over hidden medical waste somewhere near the course and the EPO-laced rainwater splashed onto her shorts, thus contaminating her urine. She got a 2-year ban, but with a story like that, they should have gone for 4. Nadzeya Ostapchuk Says Valerie Adams Is The Cheat, Not Her She has voiced many crazy conspiracy theories such as doping was the real reason Adams was left off the start list, not an administrative error, and that she's been framed by her former coach.